If your mobile number is synchronized to a Facebook account and you need to delete or modify it, then you have to follow some easy steps. 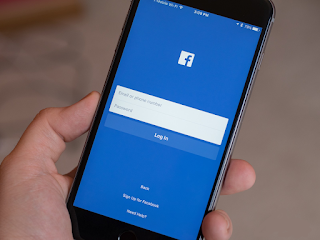 Social media networking site Facebook has introduced two-factor-authentication to protect users. For this, you have to link your Facebook account with your mobile number or you can also link it to any third party authentication. If you need to remove your mobile number from your Facebook account or delete it, then you have to follow the some simple steps to get easy done your jobs. If you run your Facebook account into open a smartphone, then you have to tap the Settings and Privacy options of the Facebook app. After this you have to go to Personal Information in Settings. On the next screen you will be given a phone number, e-mail ID and many more option to display into a screen. There you will want to tap on the phone number, after which you can tap on the remote to remove your phone number from there. To delete a phone number, you will have to re-enter your Facebook password. After this, you will have to tap on the remote phone by going to the next page. After this you will get a confirmation e-mail on the registered email id for this. If you run your Facebook account on the desktop, then log in to your web site by going to the web browser. Go to settings and click on Facebook Info and you will see Access your information in the View option. On the next screen, you will see your contact information option in the Personal Information tab. There you will have to click on the phone number, after which you can remove your phone number from the remote by clicking on the remote. To delete a phone number, you will have to re-enter your Facebook password. After this, you will have to click on the remote phone after going to the next page. After this you will get a confirmation e-mail on the registered email id for this.